Boasting incredible pine-fringed sandy beaches, green landscape and cosmopolitan feeling, Skiathos island is the most popular holidays destination in the Sporades complex. Skiathos offers activities for every type of traveler, from peaceful boat trips to adventurous hiking tours. Renowned for its golden beaches with crystal clear blue sea and verdant natural environment swimming and hiking are among the top 5 things to do in Skiathos island. In Town, the centre of activities with a wide variety of Skiathos bungalows and hotels, you can also have an amazing time in the several shops, bars and clubs. One of the top 5 things to do in Skiathos island is enjoying a refreshing swim in Koukounaries. Set in front of a dense pine tree forest, an amazing biotope area, the long beach of Koukounaries distinguishes for its soft golden/white sand and crystalline waters. There are a lot of facilities and water sports available, as this is a well-organized beach, located on the south western part of the island. Apart from Koukounaries, the southern side of Skiathos is lined up with other fantastic beaches for swimming, such as Vromolimnos, Banana, Agia Paraskevi and others. Don’t miss the boat trip to Lalaria beach, an exotic white cove at the north-eastern part of the island. 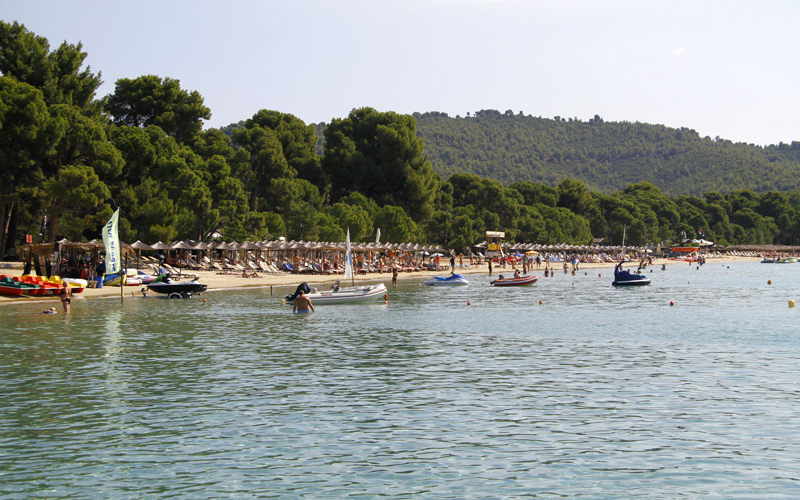 Lalaria beach is sandy and is only accessible by boat from Skiathos town. The scenery in Lalaria is extraordinary with huge white rock formations and underwater passages. 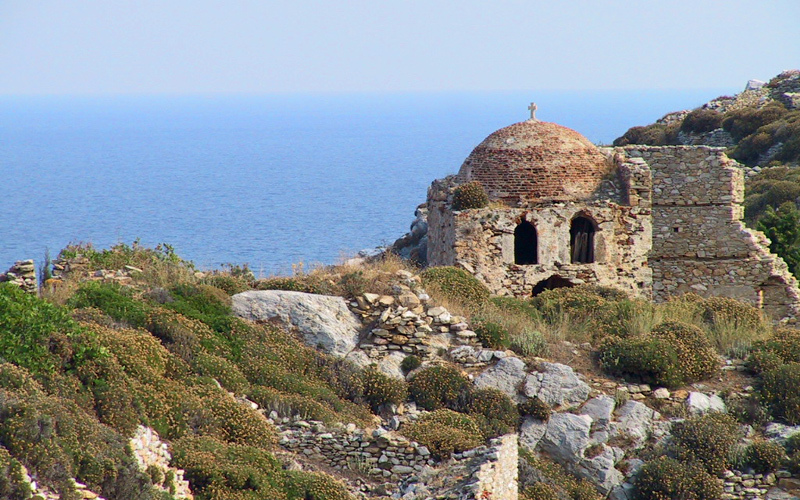 The same boat tour also goes to the ruins of the impressive Medieval Castle of Skiathos. In the medieval castle there are remnants of old churches and walls, built on a rocky hill, offering spectacular views to the deep blue sea. 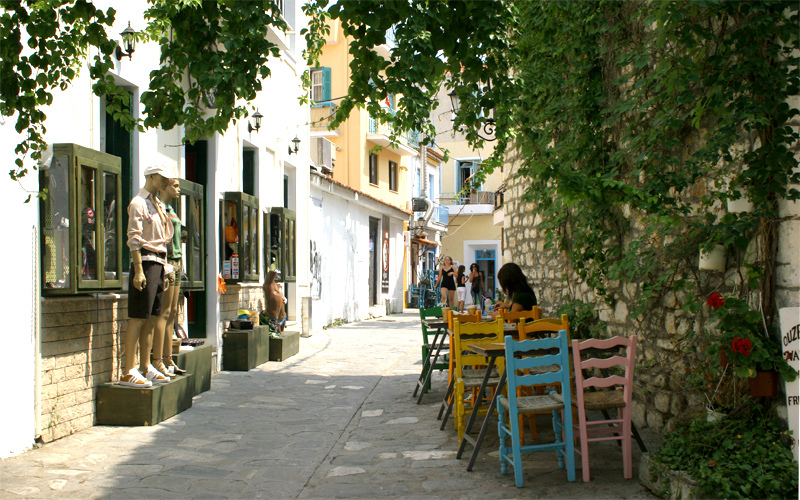 For an amazing evening or night out head to Skiathos town, the cultural centre of the island. In town, there is a great variety of accommodation options, from studios to Skiathos bungalows, with easy access to the main entertainment venues. There are two places in town, where you can enjoy an evening drink, have fun with friends or have a romantic date. Several chic cafes, atmospheric bars and lively night clubs are found by the harbour front with amazing sea views and others are located in the centre of the old town, around the famous Papadiamantis street. 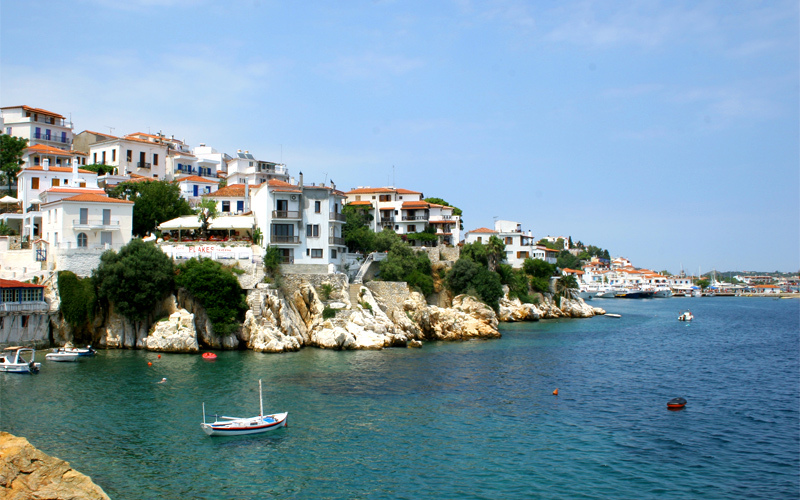 A trip to Skiathos is not complete without a visit to at least one of the traditional seaside taverns. Situated right on the waterfront, the taverns in Skiathos are a great place to have lunch, due to their uplifting atmosphere and fresh products. Try traditionally cooked meals, like mousaka, or fresh grilled fish, while sipping a glass of local wine. 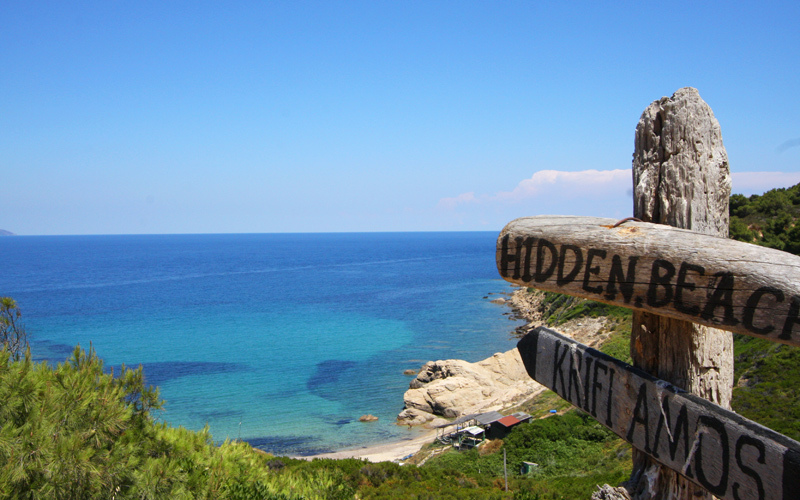 Among the top 5 things to do in Skiathos island is also hiking. The countryside of Skiathos is full of greenery and pine tree forests, creating the perfect conditions for trekking and hiking. In fact, Skiathos is the only island in the northern Aegean with many excellently-organized, well-marked hiking trails of all levels and difficulties. Passing through areas of extraordinary beauty, there are hiking paths from one beach to the other and many starting from Skiathos town and reaching nice monasteries, built on hilltops.